It is incumbent upon a servant (of Allaah) that he is eager to fear Allaah (The Most High); pays close attention and be very attentive to (Allaah’s commands and prohibitions) and not to fall into disobedience. And if he commits sin, he should proceed-without delay- towards repentance, and turns repentantly to Allaah with complete submission. 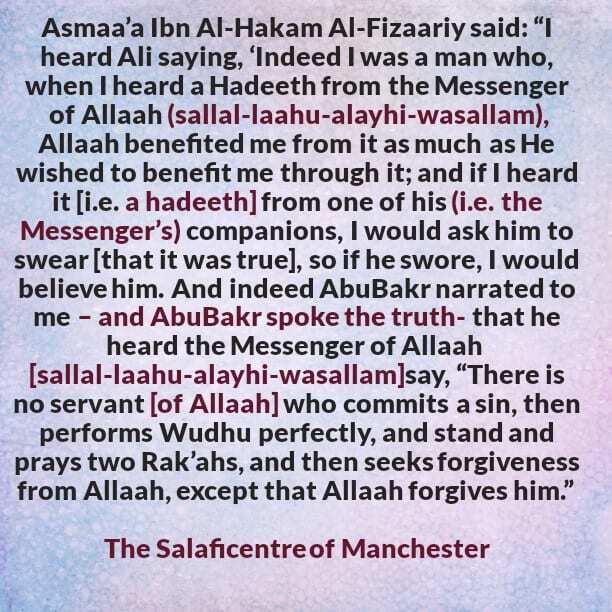 And indeed the Messenger (sallal-laahu-alayhi-wasallam) legislated this Salaah [for a person when he performs the act of] repentance.